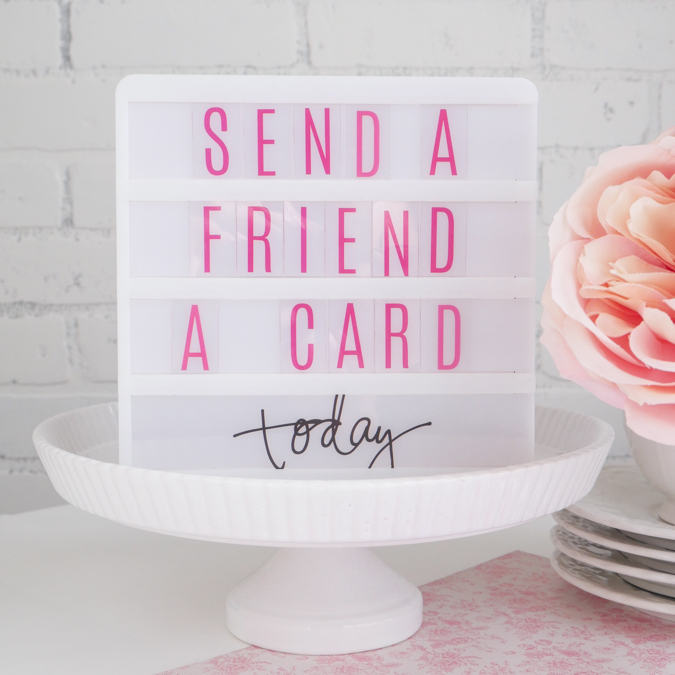 February 7th is National Send a Friend a Card Day. I have been 'crafting' formally for a very long time. As a middle schooler I loved hand lettering. Planners. Stickers and stationary by the pound. 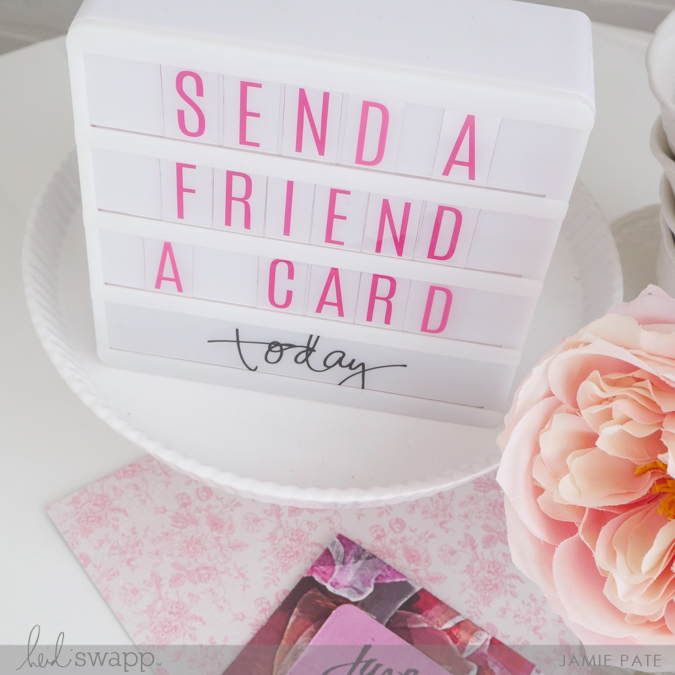 I also did this thing called 'pen-pals'. Yep. It's this archaic method of using pen to write words on stationary to a friend that lived in another city, state or even country. After the letter was written it would be placed inside an envelope and sealed. Said envelope would have a recipients address written on the front and then a postal stamp would be placed on the upper left edge. One would then place this sealed letter in the mail. A postal worker picks up that letter and it goes through the lengthy process of being sent to the recipient. In a few days the receiver of the letter would get what we now call 'snail mail'. I prefer to call it 'happy mail'. Cause I know how happy it makes me to receive a personal note in the mail meant just for me. 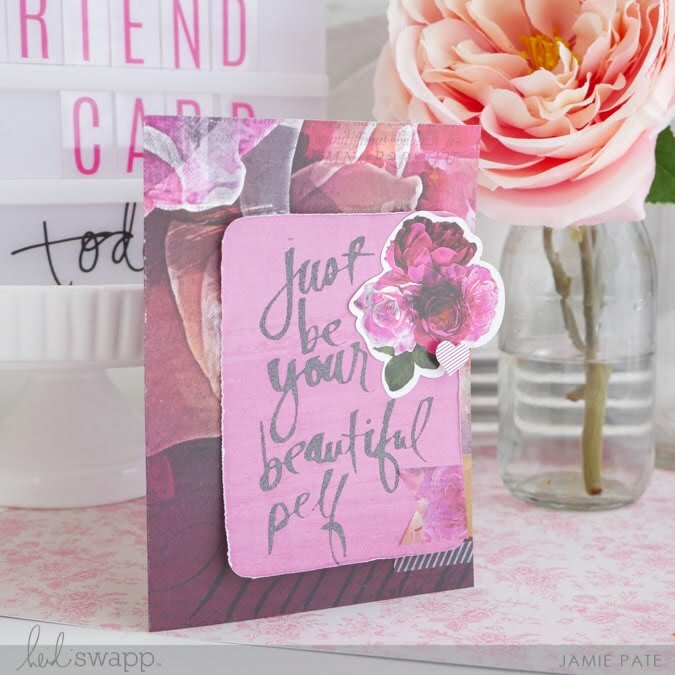 Today I want to show you how I put this pretty card together using Heidi Swapp's new Hawthorne collection plus use of her Mixed Media pieces. It's a simple card. Not only is it a rewarding creative experience. It is also a meaningful opportunity to make something for someone else. Write words of love and meaning inside. And then send it to them. 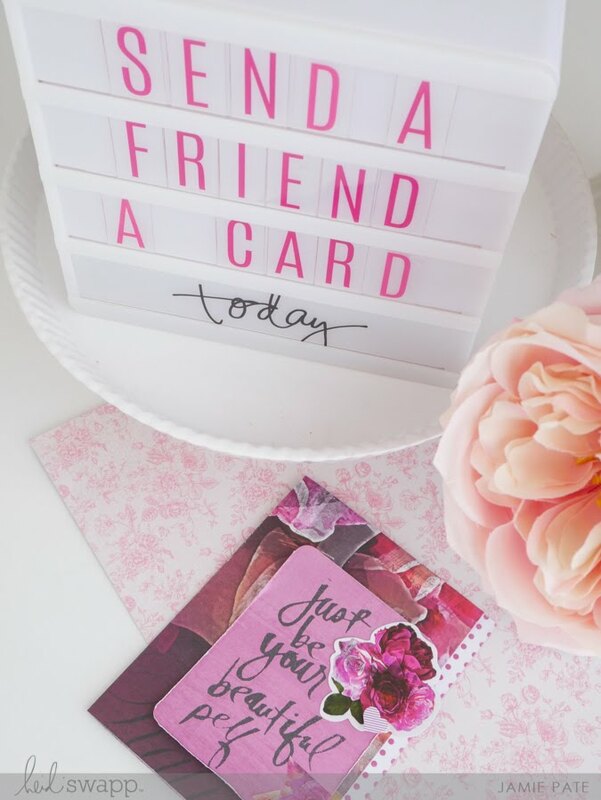 Send a Friend a Card Day is a beautiful way to reach out and tell someone how much you really love and care for them. I terribly enjoy making cards. But honestly, I just don't do it enough. 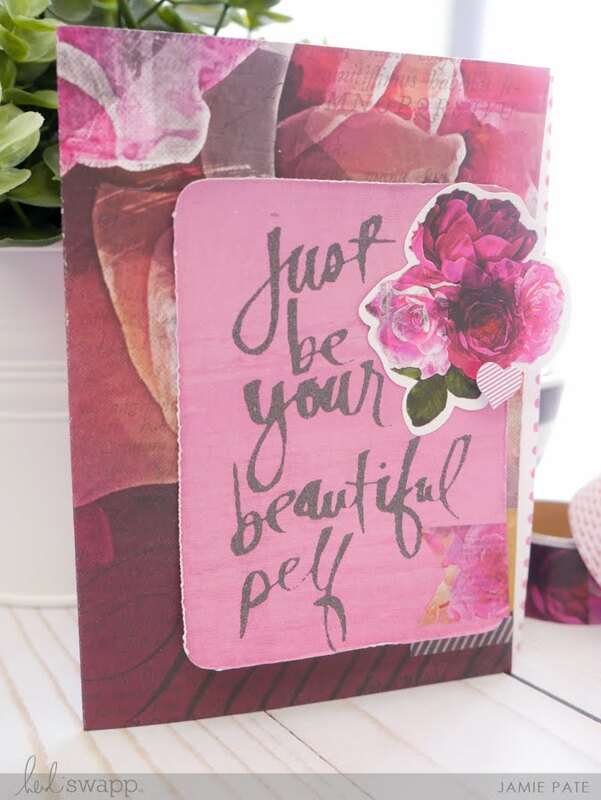 Cards don't have to be complicated. I rather like to think this card here is not hard. Just a few pieces of pattern paper. Instead of the Art Screen Ink you could use a stamp for the sentiment. Or a piece of Ephemera. There are many options. 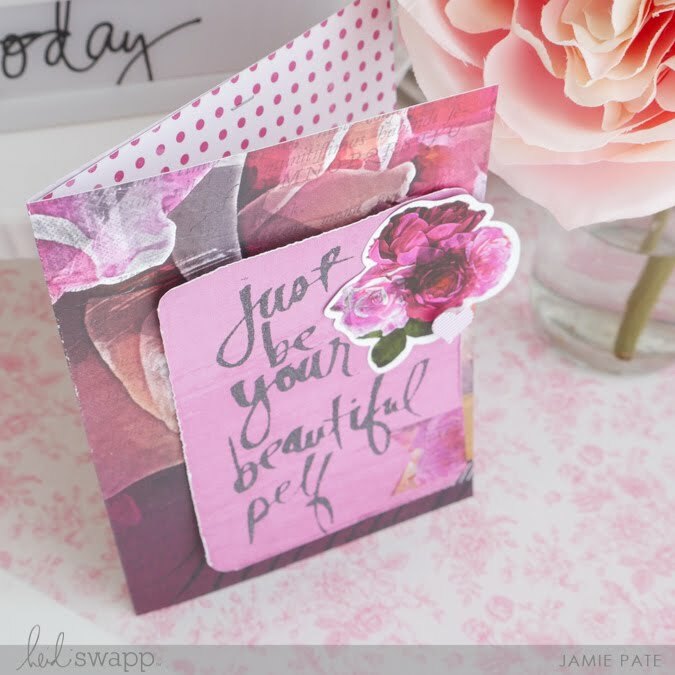 My hope is that you can use this card as inspiration to make one to give to a friend. You know what is the most important part of a card? Your words. To a friend. It is one of the best ways you can shine your light in their life. I know you'll like it. 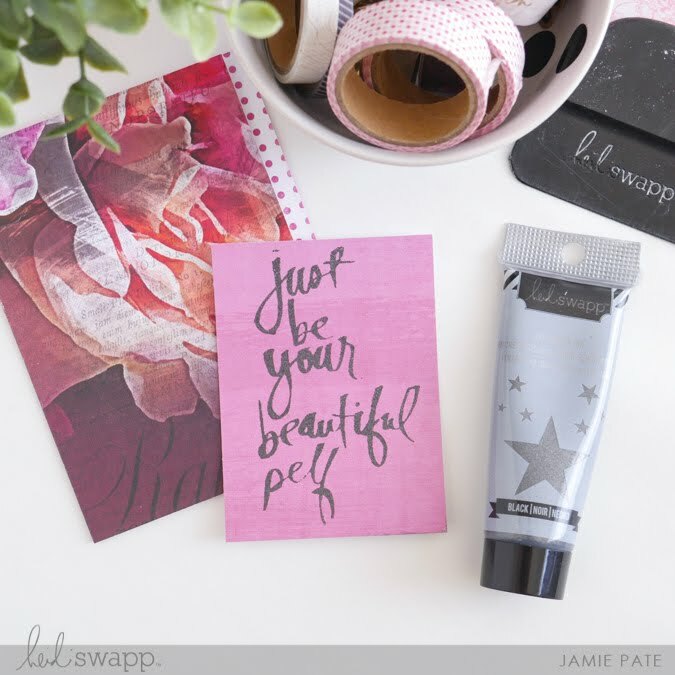 supply | Heidi Swapp: Hawthorne Collection. Mixed Media Collection.